In a Nutshell: The Wedbush Investment in Student Education (WISE) program gives Wedbush, a leading financial services and investment firm, a new platform to help young students learn financial literacy skills. Through a partnership with PUC Schools, local Cal State Los Angeles professors teach area high school students basic financial knowledge. A more advanced course teaches students about stock trading. Participating students can earn scholarship money, internships, and gain inspiration and encouragement while applying to colleges. High school students have no shortage of lessons to learn throughout their four years in the classroom. Among them are advanced lessons in reading, writing, and arithmetic — as well as the ability to take an absurd amount of tests and quizzes. But how many of those lessons come in handy after graduation? Nothing I learned in the hallowed halls taught me how to apply for a credit card or a mortgage or calculate the interest that either would charge me. Financial literacy is among the most important skills a person needs to navigate through adulthood. Yet, during the 12 years of schooling that prepares children to become adults, the topic is almost never broached. But Wedbush wants to change that narrative. The financial services and investment firm, based in Los Angeles and led by Co-President Rich Jablonski and Gary Wedbush, has a plan to help students learn the financial skills they need while encouraging first-generation college students to succeed beyond the classroom. And the program doesn’t focus solely on high school students. The Wedbush Investment in Student Education (WISE) program is designed to educate students of all ages on financial literacy. WISE offers tools to students in elementary school through college to lay the foundation of a healthy financial lifestyle. Through various lessons, students learn to balance a checking account, calculate interest, manage loans, and many other vital skills. And, just as importantly, students learn the vocabulary needed to negotiate the terms of a loan or to confidently open a bank account — knowledge that is often taken for granted by adults but rarely handed down to many children. Jablonski said that one of the most gratifying aspects of the program is helping young people move toward a horizon that once seemed unattainable. In addition to receiving in-class lessons from college instructors, students who participate in the WISE program at their local schools also have the chance to earn scholarship funds and internships with the prestigious Wedbush firm. WISE’s in-class component takes place in conjunction with Partnerships to Uplift Communities (PUC Schools), a nonprofit public charter school network in the Los Angeles area. Two local Cal State Los Angeles professors designed and developed the curriculum and also teach it at the participating high schools every Friday. They’re often accompanied by Wedbush professionals, who act as guest lecturers and share the stories of their own careers and financial literacy paths with the students. Rich Jablonski, Co-President of Wedbush, told us about the WISE program’s work in Los Angeles. But aside from pricey dinners, Jablonski said the lessons are designed to be easily digestible and instantly actionable. Students also have the chance to tour Wedbush headquarters and get a behind-the-scenes view of what goes into running a major financial firm. “I go down a few times each year to talk to the students and we also have them up here to our offices and take them on a tour, from department to department, to explain how a brokerage firm works,” Jablonski said. Wedbush also helps fund programs that teach early elementary students the basics of financial literacy. Some lessons are as simple as coloring pages or taking part in finance-themed games and activities that can be done at home. But all are designed to motivate young children to become better savers and smarter spenders. And the earlier a child can gain access to that knowledge, the more likely they are to carry it with them into adulthood. Starting in the fall of 2019, students at two Los Angeles high schools who show interest in going beyond the basics will also be eligible to take part in an advanced program that dives into stock trading with the help of Rapunzl. Rapunzl is a mobile app that lets users take part in simulated investing competitions. Users select stocks they think will outperform the field as a way of learning to invest without risking capital. 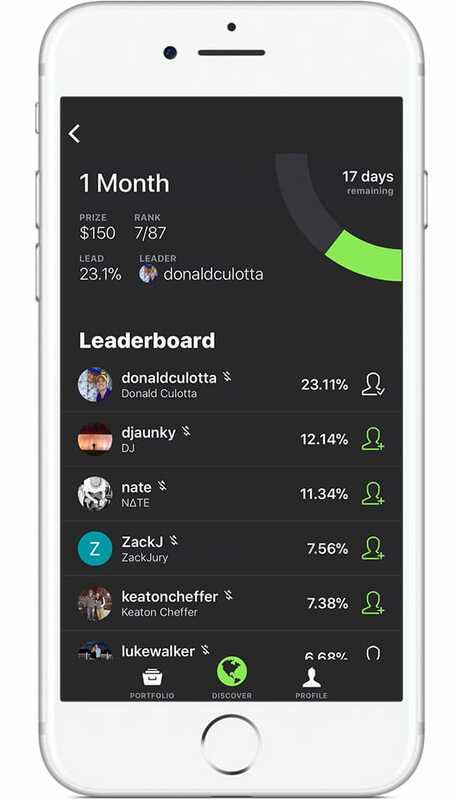 Students can form discussion groups on investment trends and monitor their friend’s trades in real time through the app’s activity feed. “Our students need more than a textbook to learn the stock market, and our teachers need real-world, experiential tools to engage students,” according to the Rapunzl website. This advanced program will allow students from each high school to compete against one another to see who can piece together the most successful portfolio. And although the app may be a gamified way of teaching about the stock market, the stakes are much higher than your typical game. The three students with the most successful portfolios from each school will receive a share of $25,000 in scholarship money. Jablonski said the program has been successful in its first two years. And while the lessons continue to help young people into adulthood, he said his favorite part is seeing students’ growth as they move through the program and onto college. “You talk to the kids and you tell them what to expect (when applying for college),” Jablonski said. “And you see some of the kids who were doubting that they could do it. But then, through the course and the encouragement that they get, they apply for college. Eventually, we get these messages like ‘Hey, I got into USC’ or ‘Hey, I got into UCLA and Notre Dame.’ It’s amazing. Sometimes, all you need is a good push to send you in the right direction in life. The leadership team at Wedbush realized that so many young students weren’t getting the direction they needed. But now, college campuses around the country feature students who are blazing a trail that may have once seemed impossible to travel. And it’s all because they were WISE in high school.